A delightful bloom that my wife calls adorable. The color shows beautiful shading. Upright growth to properly show off the blooms. A n introduction by Alain Meilland of France in 1994. Almost thornless. Strong sweet citrus fragrance. Good for cut flowers. Large blooms. From 1832 with a high center and of moderate fragrance. A plant with an abundance of flowers. From 1883 this rose can be grown as a shrub or climber. The flowers bloom in clusters, blooming as a light pink, fading to white. 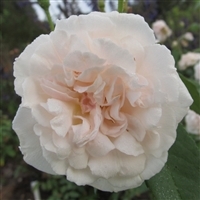 A Buck rose from 2003, this plant offers a spicy fragrance. A good landscape plant, tolerant of partial shade. 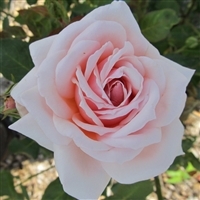 Introduced in the U.S. in 1908 this rose has a strong damask scent. Upright in growth, the blooms are large. 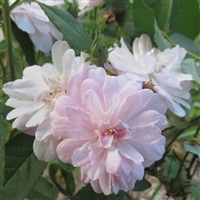 From France in 1843, known for very large flowers with a strong tea fragrance. Holds up well on the plant and when cut. 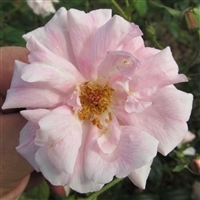 Included in the World Federation of Rose Societies Old Rose Hall of Fame.